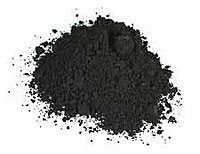 represents porous substance which is received from various carboniferous materials of an organic origin: charcoal, coal coke, oil coke, coconut coal, etc. Contains a huge number of a time and therefore possesses very big specific surface per unit mass owing to what possesses high adsorption. One gram of absorbent carbon depending on manufacturing techniques has a specific surface from 500 to 1500 m ²-. 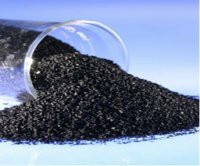 The UAAD absorbent carbon (coal the activated anthracite - shredded) made of special grades of coal of the Anthracite brand. Absorbent carbon of the UAAD brand is a tonkoporisty carbon sorbent with a wide range of a time and considerable size of the specific absorbing surface, is characterized by the high bulk density defining the raised indicators of volumes of micropores per layer unit of volume, a low ash-content and low content of impurity of iron that is important when using absorbers in the liquid environment. The special attention is deserved by high strength properties of coal of the UAAD brand, hardness (istirayemost) to 95%. Unlike other brands of the activated coals, UAAD coal possesses as the filtering and sorption properties, its repeated washing and a reuse is allowed. - Purification of any sewage. The size of grains (fraction) - (0,01-0,5), (0,5-1,8), (1,0-2,5), (2,0-2,8), (2,8-5,0), (3,0-6,0) mm. When oversleeping active wood shredded coal coal dust is emitted. 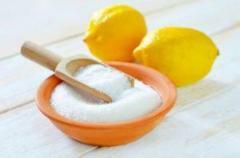 Dust of active coal is not poisonous, but at hit in large numbers in lungs of the person causes diseases. The Extremely Allowed Concentration (EAC) of coal dust in air of working rooms - 10 mg/m ³-. Active coal belongs to the 3rd class of danger. Active wood shredded coal - combustible substance with a decay temperature in a layer not lower than 240 ° - Page. Dust of active coal with air forms explosive mixes: the lower concentration limit of ignition of an aero suspension - (106±-7) g/m ³-, temperature of spontaneous ignition of an aero suspension - not lower than 520 ° - S. the maximum pressure of explosion - (650±-60) kPa, the minimum explosive content of oxygen - no more than 14% (on volume). During the work with active wood shredded coal it is necessary to use an anti-dust respirator of the F-62Sh or U-2K type or "-KAMA"-. Places of oversleeping of active coal have to be equipped according to standards of fire safety: lack of sources of naked flame, existence of exhaust ventilation. Damp absorbent carbon possesses ability to selectively absorb oxygen from air. In the closed or partially closed capacities and rooms levels of oxygen exhaustion can reach a dangerous limit. At work in rooms with coal it is necessary to follow rules and norms of work in places with potentially low content of oxygen. Packing of coals is made in four - five-layer paper bags with a polyethylene insert or polypropylene bags. 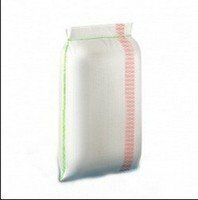 Absorbent carbon is transported all means of transport, except air, in the covered vehicles according to the rules of transportation of goods existing on transport of this look. Unbelievable price on BAU active coal in Kharkov (Ukraine) company Harkovtorgservis, OOO.